The Conway Scenic Railroad Opens Tomorrow (4/13)! 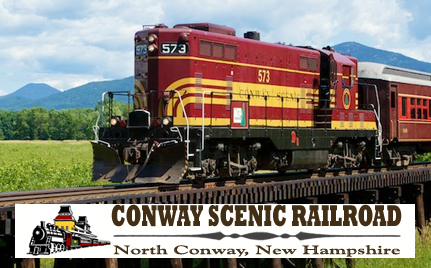 The Conway Scenic Railroad opens tomorrow, April 13th, for the 2019 Season and in celebration of that fact Gino and The Magic Morning Show have been giving away Family 4 Packs of tickets all week long. Plus, Gino had Conway Scenic Engineer Derek Palmieri on the show this morning to tell us what to expect for the upcoming season and there was A LOT to talk about!